Bitcoin Press Release: Digipharm is excited to announce our official cooperation with Swisscom Blockchain, founded by Swisscom. March 31, 2018 Zug, Switzerland – With over 11.6bil CH (12.2bil USD) revenue in 2017, Swisscom is Switzerland’s leading telecommunications company and one of its leading IT companies. Two-thirds of the Swiss population use the Swisscom Network, and 51.0% of the company is owned by the Swiss Confederation. As a forerunner in innovation and tech, Swisscom announced their venture into blockchain technology in September 2017, with the goal of furthering the development of blockchain applications in and for Switzerland. Since the announcement, Swisscom Blockchain has been approached by hundreds of blockchain-based startups, but they have remained highly selective about whom they choose to work with. Digipharm is collaborating with Swisscom Blockchain in the areas of development, infrastructure, and overall strategy. Our minimal viable product is currently in development, and will be ready for launch immediately following our Initial Coin Offering. Digipharm solutions aim to accelerate the much needed restructuring of healthcare delivery systems from fee for service to a value-based approach. Digipharm bypasses infrastructural limitations to enable the implementation of flexible value-based pricing agreements using smart contracts, the development of unprecedented evidence platforms and the ability to reward patients for contributing their data. The team aim to utilize innovative blockchain technology to overcome barriers to patient access and innovative pricing, reduce costs for all stakeholders, and bypass infrastructural limitations to drive value improvement, incentivize innovation and expedite the transformation to personalized healthcare. Digipharm’s vision is to be the pioneer of sustainable and value-based healthcare delivery, innovative evidence generation and patient empowerment across the healthcare industry. Digipharm is the source of this content. Virtual currency is not legal tender, is not backed by the government, and accounts and value balances are not subject to consumer protections. This press release is for informational purposes only. The information does not constitute investment advice or an offer to invest. 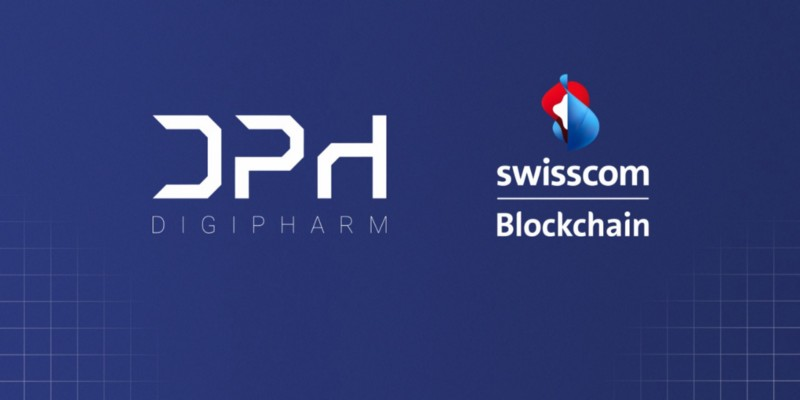 The post Digipharm Announces Partnership with Swiss Blockchain Giant, Swisscom appeared first on Bitcoin PR Buzz.